This article is about the institution in Taiwan. For the institution in mainland China, see Chinese Academy of Sciences. Academia Sinica (Chinese: 中央研究院, literally "Central Research Academy"; "Chinese Academy" in Latin), headquartered in the Nangang District of Taipei, is the national academy of Taiwan. It supports research activities in a wide variety of disciplines, ranging from mathematical and physical sciences, to life sciences, and to humanities and social sciences. Academia Sinica has made great progress in recent years, according to Taiwanese scholar Chang Jui-te. An increasing number of research papers written by its faculty members, which numbered 1,150 in 2001, are appearing in international journals. Some journals published by Academia Sinica itself, such as Zoological Studies and Statistica Sinica, have received international recognition. Academia Sinica plays a major role in the field of Chinese studies. For example, the archaeological findings by researchers at the Institute of History and Philology have, in combination with written documents, led to a rewriting of ancient Chinese history, pushing back the span of Chinese history by many centuries. Academia Sinica is ranked 161st in Nature Publishing Index - 2013 Global Top 200. Former Academia Sinica in Jiangsu, China. The academy was envisioned as an organization that would oversee and coordinate scientific, social science, and humanistic research in all of the Republic of China's state-sponsored research institutes and universities. Unlike other government-sponsored research institutes which are responsible to relevant Executive Yuan ministries, Academia Sinica, as the nation's premier research institution, is directly responsible to the President of the Republic of China. Thus Academia Sinica enjoys autonomy in formulating its own research objectives. In addition to academic research on various subjects in the sciences and humanities, Academia Sinica's major tasks also include providing guidelines, channels of coordination, and incentives with a view to raising academic standards in the country. At the time of Academia Sinica's founding there were already a number of other, smaller institutes in several Chinese cities. Academia Sinica incorporated a number of these into its organization, and rapidly built nine institutes: meteorology, astronomy, physics, chemistry, geology, engineering, psychology, history and philology, and sociology, most of which were located in the new capital city of Nanjing. In general Academia Sinica is a non-teaching institution, but it has very close collaboration with the top research universities in Taiwan, such as National Chiao Tung University, National Taiwan University, National Tsing Hua University, and National Yang-Ming University. Many research fellows from Academia Sinica have a second appointment or joint professorship at these universities. In addition, Academia Sinica established a joint Ph.D. program in biological science with Taiwan's National Defense University. Through these mechanisms, the faculty at the Academia Sinica give lecture courses and supervise graduate students. Since 2004, Academia Sinica set up the Taiwan International Graduate Program (TIGP), open to local and international students for Ph.D. programs. All courses at TIGP are conducted in English. Students can choose their advisor among a faculty selected for the program out of outstanding researchers and professors appointed at Academia Sinica or at one of the partner universities (or both). Currently, admittance to the programme guarantees a monthly stipend of 32,000 NTD, roughly $1,000 or €715. Applications can normally be sent starting in December and the submission deadline is usually set on March 31, for enrollment in September of the same year. Lectures start around the middle of September and end around the middle of June, with slight variations mostly depending on the partner university academic calendar. The TIGP offers Ph.D. programs only in selected disciplines agreed upon by Academia Sinica and its national research universities partners. The program offers doctoral degrees in highly interdisciplinary areas in the physical sciences, applied sciences, engineering, biological and agricultural sciences, health and medical sciences, humanities and social sciences. Currently, Academia Sinica administers nine such programs with degrees issued from partner universities. 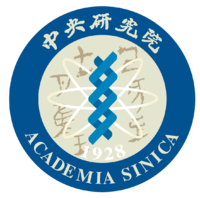 Academia Sinica also offers a three-year program for gifted and talented high school students interested in the biological sciences. To enroll, students must first pass an entrance exam at the start of 10th grade (first year for most Taiwanese high schools). During 10th grade, students attend expert lectures and visit the various laboratories on campus. During 11th and 12th grade, students enter a lab of their choice and gain hands-on experience in the various fields of biological sciences. To graduate from the program, an academic paper must be submitted and presented in front of professors and peers. Academia Sinica's current President is Dr. James C. Liao, a biochemist, who replaced Dr. Chi-Huey Wong, a biological chemist and the Parsons Foundation Professor and Chair of the Department of Chemical and Biomolecular Engineering at the University of California, Los Angeles, as the 11th president on June 21, 2016. The list of past Presidents also includes Hu Shih in 1957. A philosopher and essayist, he was a key contributor to Chinese liberalism and language reform in his advocacy for the use of vernacular Chinese, as well as an influential redology scholar and holder of the Jiaxu manuscript (Chinese: 甲戌本; pinyin: Jiǎxū běn) until his death. ↑ "Nature Publishing Group". natureasia.com. ↑ Taiwan International Graduate Program Archived July 10, 2010, at the Wayback Machine., Academia Sinica, Taiwan. ↑ Convocation of the Academia Sinica, Academia Sinica, Taiwan. ↑ Nobel Prize laureates, Academia Sinica, Taiwan.